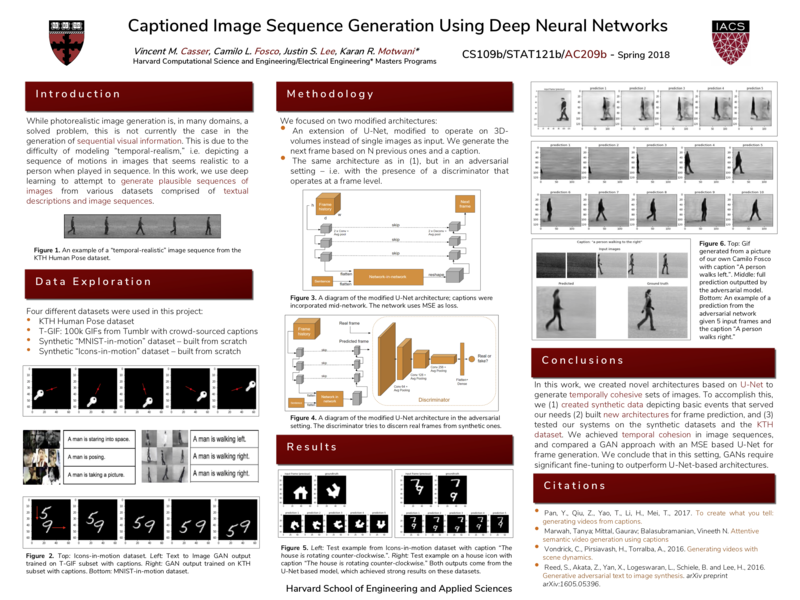 V. Casser *, C. L. Fosco *, J. S. Lee * and K. R. Motwani *: Guided Video Generation Using FCNs in an Adversarial Setup, Technical Report, Harvard University, 2018. Summary of our project results. 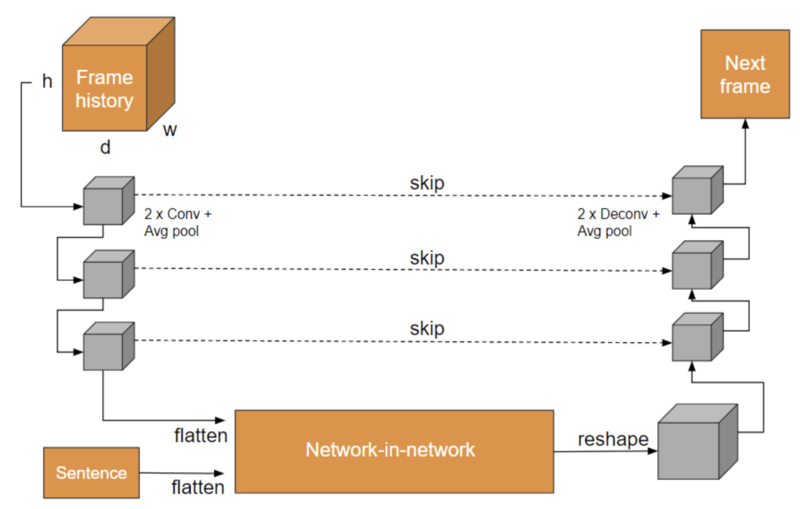 Our altered U-Net architecture, taking a 3D-volume filled with images and a sentence representation, and outputting a single next frame prediction. U-Net + discriminator architecture. Each orange block of the discriminator represents the output of a 2D convolution, batch normalization, dropout with probability 0.1 and average pooling.